Will China’s appetite for luxury goods continue? But will this trend continue? 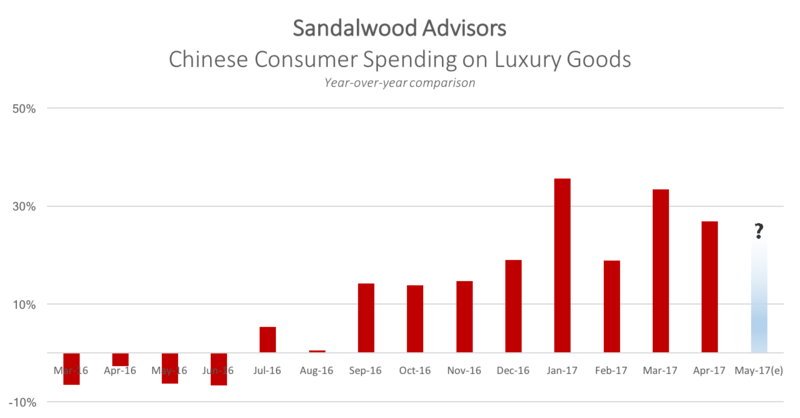 Regardless of where Chinese consumers are buying their goods (see our last post), industry watchers are waiting to see if China’s appetite for luxury goods remains strong. As the latest data rolls in, our data scientists and analysts are cleaning and analyzing the data to answer the following for our clients – Has China’s spending spree continued through May? Or was there inflection point? Sandalwood Advisors is Asia’s first alternative data platform. For the answer to the above along with details about individual company performance, please contact us here. You can also follow us on Twitter @sandalwooddata or on LinkedIn. What is the impact of THAAD on Korea’s duty-free business?